Looking for the perfect focal point for your landscape? Want to create visual interest but don’t know how? O’Grady’s Landscape can help you select and install specimen plants to give your property a splash of color and enhance the overall aesthetic of your landscape design. Whether you know exactly the types of specimen plants you want or you need help selecting the best variety, we have the experience and expertise to guide you through the process. 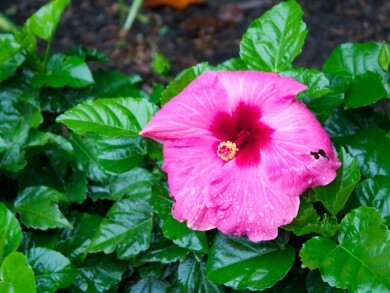 Serving residents of the City of Falls Church, Great Falls, McLean, North Arlington, and Vienna, we offer a premium and reliable specimen planting service with customer support you can rely on. Call today to request your consultation at 703-533-5001! Specimen plants are grown individually as stand-alone ornamental pieces in gardens and landscapes. They are not planted as parts of flower beds or with other plantings, but instead are meant to serve as focal points, providing unique visual interest within Northern Virginia properties. Trees with flowering vines are a popular example. If you’re looking for plants that will offer year-round interest, for instance, you’ll likely make a different choice than someone whose biggest requirement is vibrant color. Most flowering plants can’t sustain their color, and sometimes even the flowers themselves, through cold Northern Virginia winters, making trees with well-formed branches the better decision if your priority is a longer lasting focal point. Dogwood trees are an example of trees with branches that take on interesting forms. If you live in the City of Falls Church, Great Falls, McLean, North Arlington, or Vienna, look to O’Grady’s Landscape for all your specimen planting needs. Our experienced landscapers can help you select the best specimen shrubs and trees for your property and expertly install them to promote growth. We can even provide you with ongoing maintenance to ensure your plantings stay beautiful and healthy for as long as possible. Call us today for a FREE estimate—703-533-5001!